on a success in Selling – and published these findings. 46% asked for the order ONCE and quit. 24% asked for the order TWICE before giving up. 12% HUNG IN until the prospect gave them the order. …….His statistics also show that 60% of ALL SALES were made AFTER the FIFTH attempt. Zig Ziglar deduces that if 96% of people DO NOT ask for the order MORE THAN four times, and if 60% of all sales are written on the FIFTH and SUBSEQUENT attempt, it is obvious that 4% of the Salesforce are making 60% of the Sales – and 60% of the Commissions. 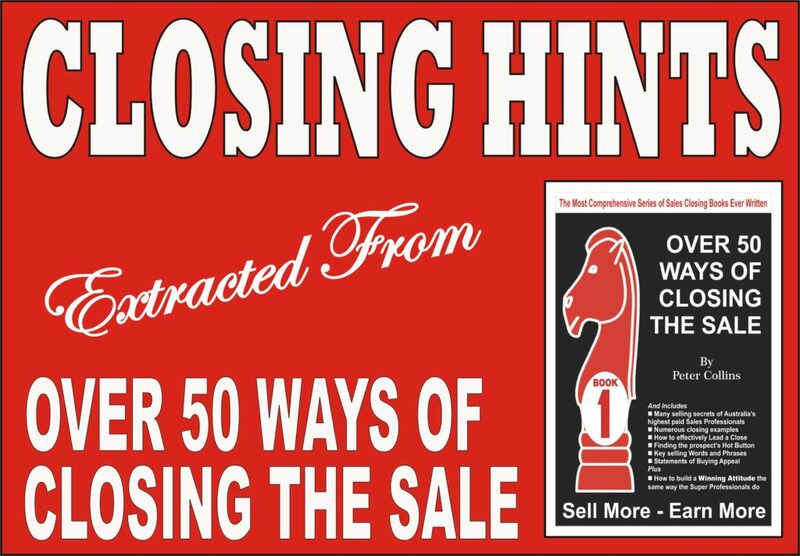 Keith Stevenson – author of “Go Selling” – defines Closing this way. Remember, we MISS 100% of the orders we DON’T ASK FOR. Yet, LESS than 1% of all books published for the Sales arena deal primarily with Closing the Sale. 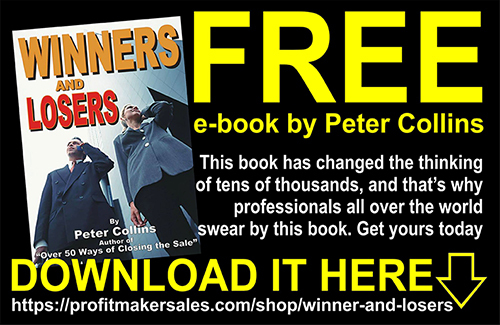 This book unlike many of the other closing publications is ENTIRELY DEVOTED TO CLOSING THE SALE.